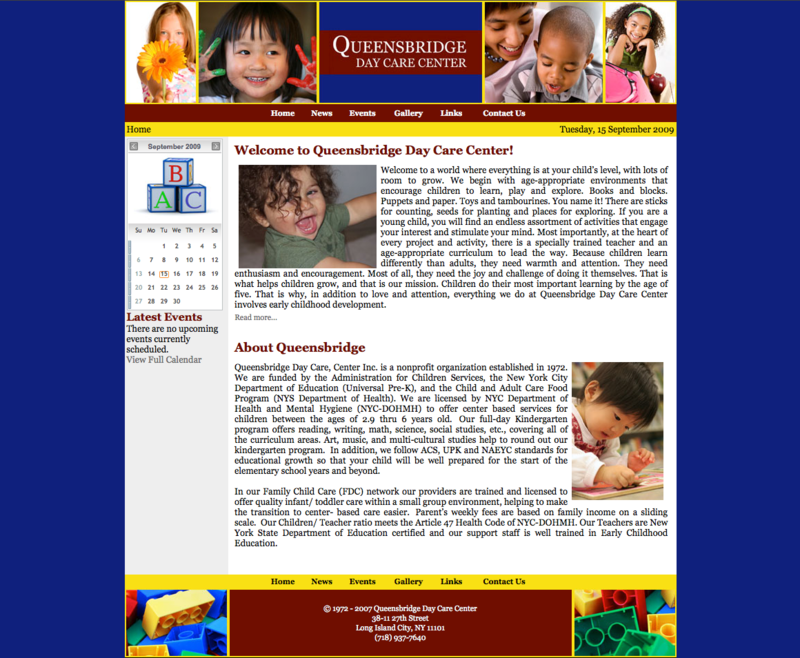 Queensbridge Day Care, Center Inc. is a nonprofit organization established in 1972 and is funded by the Administration for Children Services, the New York City Department of Education and the Child and Adult Care Food Program. Joomla! 1.0, Events Calendar, Gallery, Forms and more.